In this project students will examine some of the commonly occurring safety hazards in the shop. After a short discussion, the class will proceed around the shop and identify each hazard. Students will take notes as Mr Holbrook explains the nature of each hazard. Be sure to take careful notes on all the hazards. 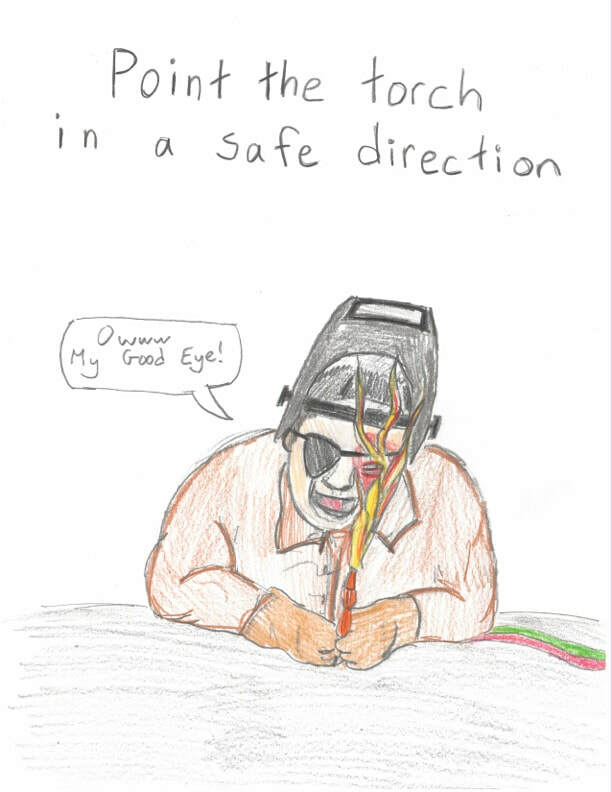 For the Safety Poster project students will pick one safety hazard scenario to depict. Posters will be made on 8.5x11” paper.